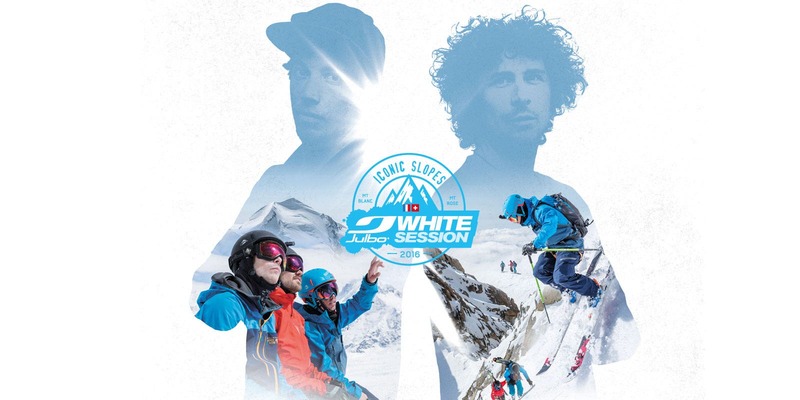 This year, a double challenge awaited Philip Crivelli, winner of the 2016 White Session: climbing and skiing two faces of two iconic Alpine mountains, the Matterhorn and Mont Blanc. For this adventure, he could count on his own talent of course. 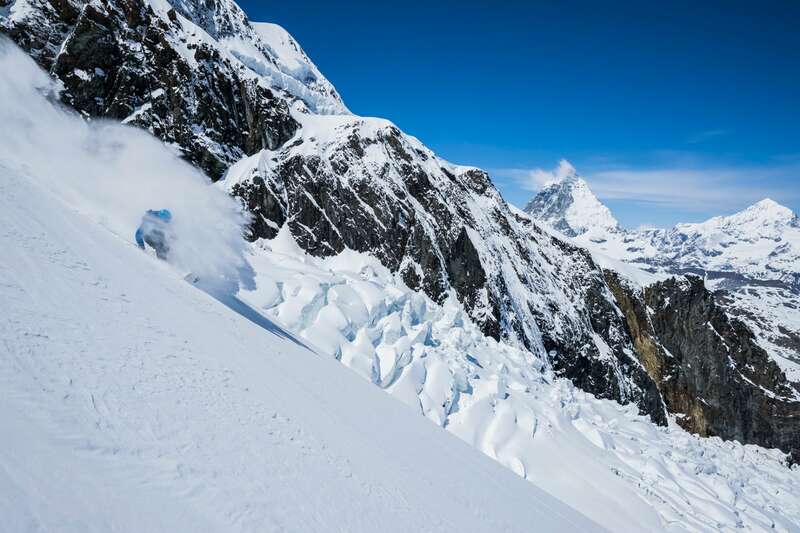 But also on two legends of extreme skiing right in their own backyards: Sam Anthamatten for the Matterhorn and Vivian Bruchez for Mont Blanc. Two unconventional guides for an extraordinary undertaking. A native of Davos, Philip has loved the snow for as long as he can remember. 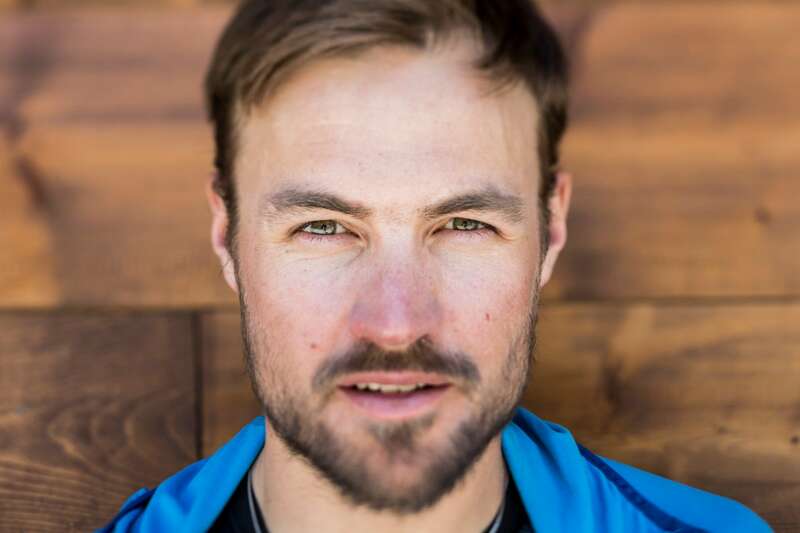 At 31, this physically athletic former downhill skiing competitor now works at the Institute for Snow and Avalanche Research in Davos, where he’s writing a thesis on the effect of wind on the snow pack. Preselected as one of a group of ten amateur skiers from across Europe, he hopped on a train to Chamonix to take part in the final selection. On his return to Davos, he found out he’d won the 2016 White Session. He eats healthily every day, drinks no alcohol and is truly passionate about steep slope skiing. And that’s what made all the difference during the selection process and also impressed his two comrades in arms during the White Session. 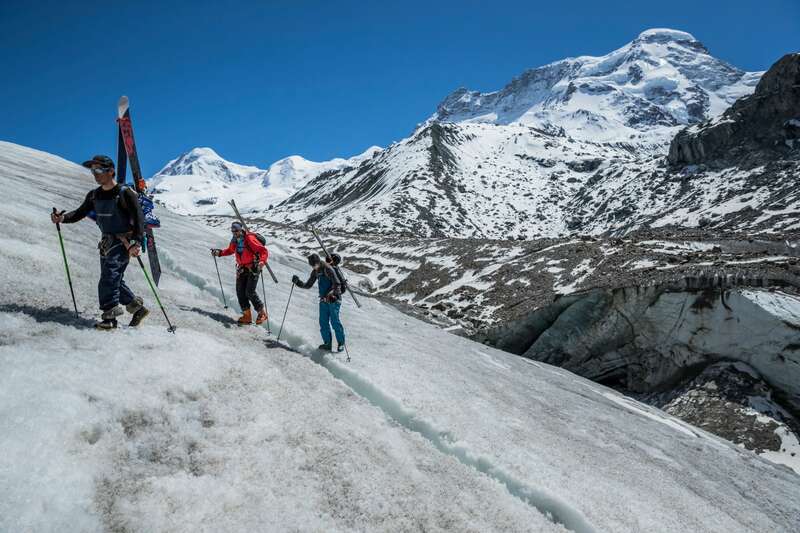 Multi-talented Swiss guide Samuel Anthamatten is a legend among the mountain fraternity. 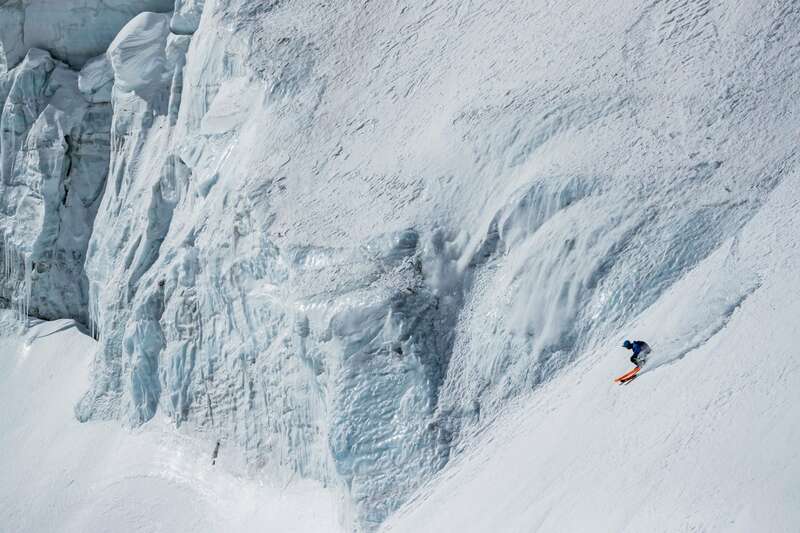 Ice climbing, freeriding and extreme skiing are areas he excels in, where he’s among the best in the world. 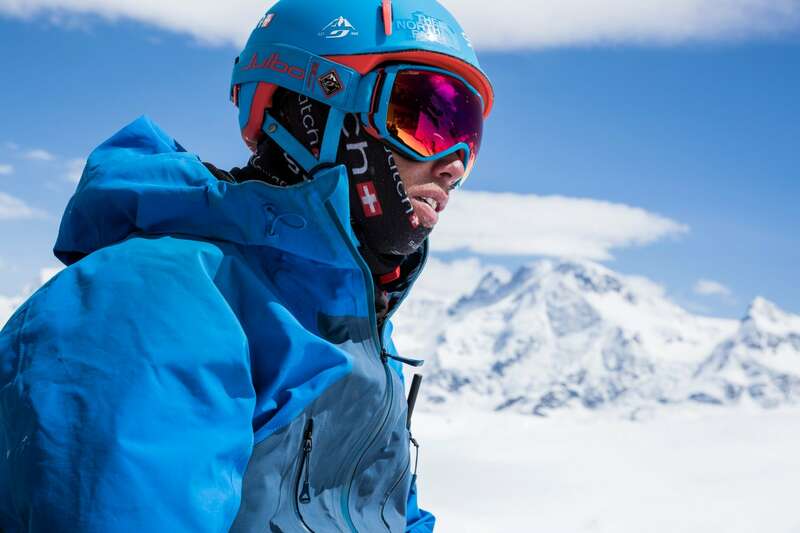 Born in Zermatt, Sam has never set foot in a ski club, but learnt with his parents and brothers. From the earliest age, he loved getting off the beaten track both in winter and summer. Taken off with his brother Simon who was then 14, he climbed his first 4,000 m peak at the tender age of 11! 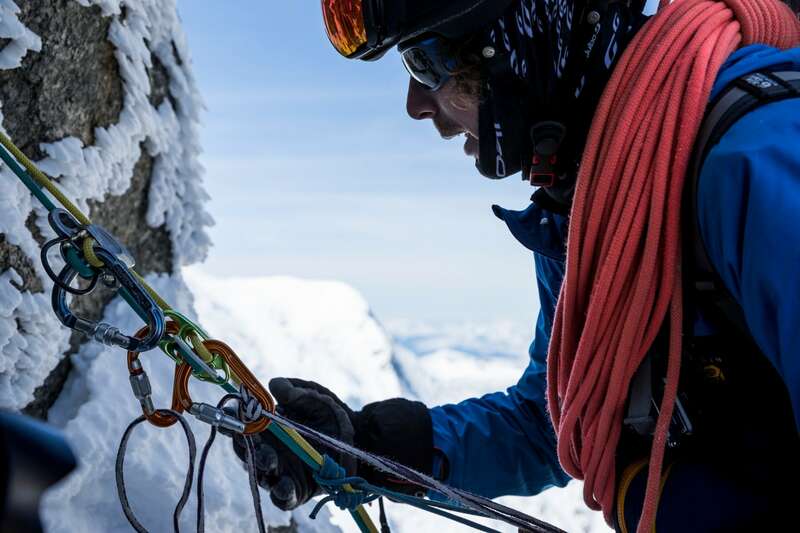 Winning an ice climbing world cup event at just 16, he then started freeriding and finished second in the general classification of his very first Freeride World Tour. 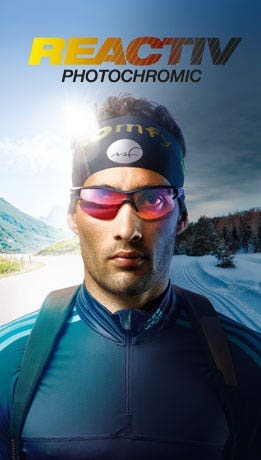 In other words, a monstrous talent whose dream is to one day ski down Himalayan slopes. 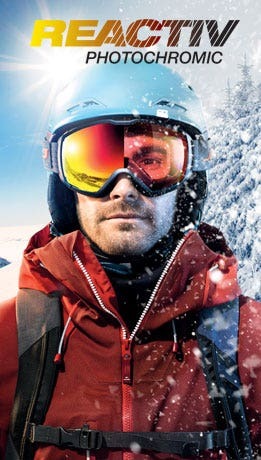 Vivian has been skiing for as long as he can remember. 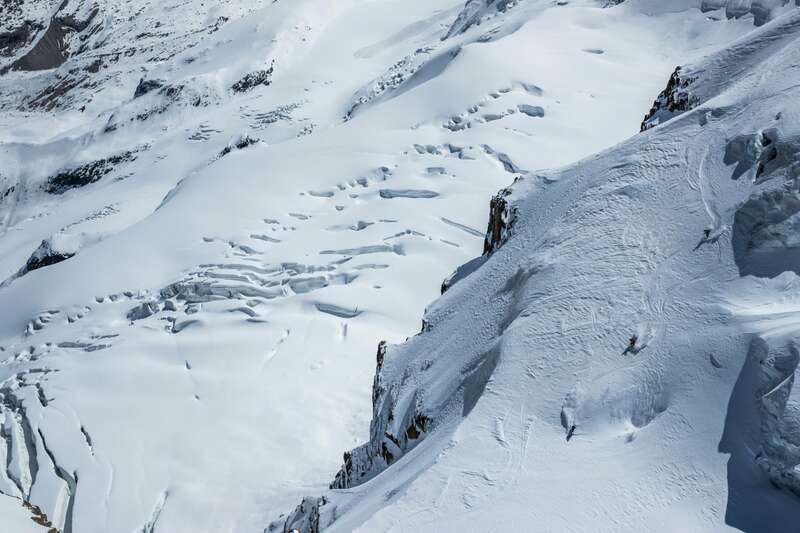 After Alpine skiing, ski cross and freeride in competition, he naturally turned to his own mountains to follow his inspiration and ski lines on improbable slopes. 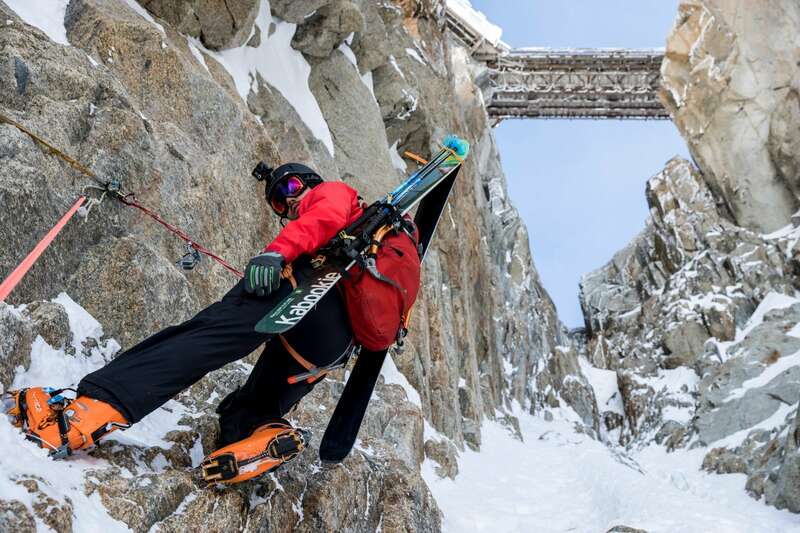 A Chamonix native, at 29 years of age, Vivian Bruchez is a key figure in the world of the mountains and extreme skiing. 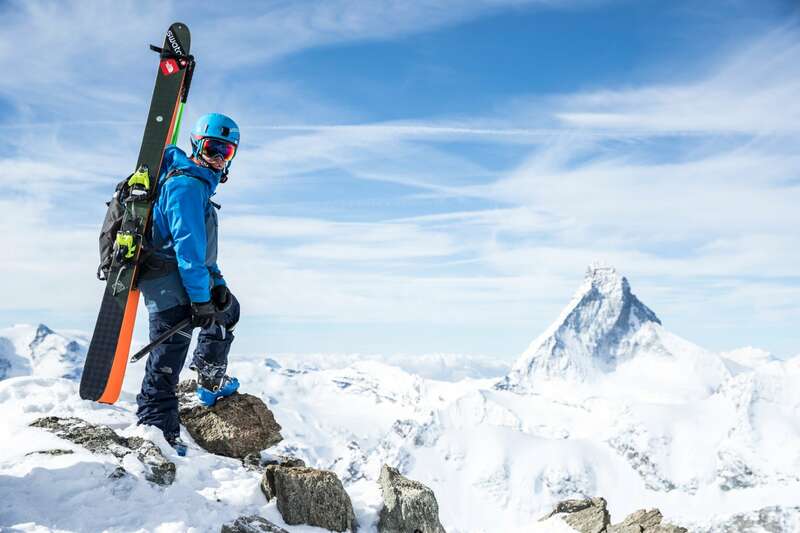 Whether alone or accompanied by legends such as Kilian Jornet and Jonathan Charlet, he loves taking his boards to places that have never been skied. His talent and humor haven’t escaped filmmaker Sébastien Montaz-Rosset who made «Downside Up», a movie all about him. Also a mountain guide, he worked for Sébastien Montaz as a cameraman on Kilian Jornet’s Everest attempt. In other words, a man who can do almost everything. And does it well. The first meeting between Sam, Vivian and Phil takes place in Zermatt. At 1,620 m above the sea in the bottom of the Mattertal valley, this village is much more than just a pretty postcard. Unspoiled thanks to strict planning laws and off-limit to cars, it’s devoted body and soul to the mountains and nature. The starting point of the Haute Route and Patrouille des Glaciers race, it’s also base camp for some iconic summits. The area around it contains 38 of the 54 peaks over 4,000 m in Switzerland. These include Monte Rosa (4,634 m), Dom des Mischabel (4,545 m), Liskamm (4,527 m), the Weisshorn (4,526 m) and of course the legendary Matterhorn (4,478 m). On July 14th 1865, it was the last great summit of the Alps to be conquered, climbed by a team of seven people, including Whymper and Croz, right under the nose of a competing Italian group. 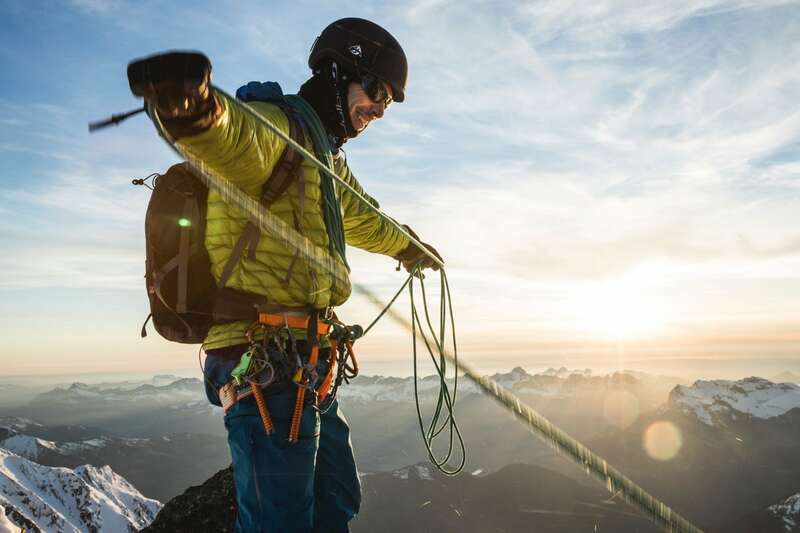 Today, it’s the turn of a Franco-Swiss party of climbers to get their fill of adventure around Zermatt. With plenty of snowfall and high winds, the team keeps a watchful eye on the weather. As a native of the region, Sam reviews the possibilities open to them.The Marinelli? Too risky, even though it’s the right season. The Matterhorn? They need to go see. They decide to spend the night at the Hörnli refuge. At 3,260 meters, the noise of the wind following the steep curves of the Matterhorn is the only distraction for the three skiers. As dawn breaks, the views are stunning. But the wind hasn’t dropped. And skiing on the Matterhorn is still too dangerous. 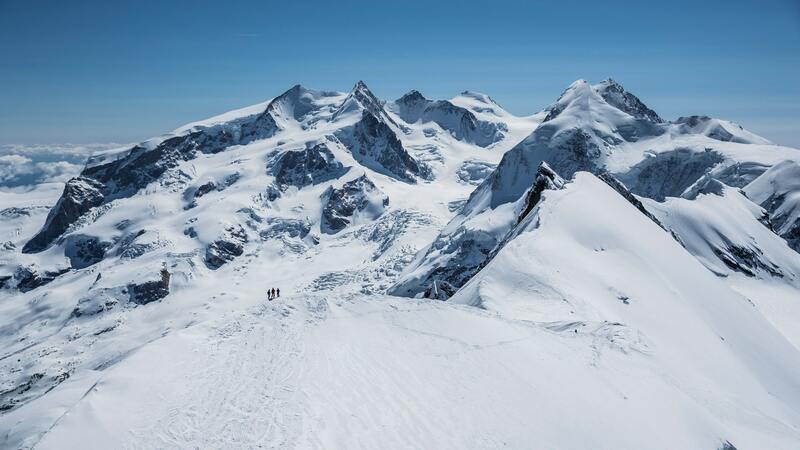 Refusing to be discouraged however, the trio turn back and decide to consider a new option: the Breithorn via the north face. After a night spent in the Testa Griglia hut, our three comrades start their ascent, finishing at an altitude of 4,163 m. Once at the summit, Sam opens the route. The first slope is at an angle of 45° and great concentration is required. This is followed by a 40 m abseil to attack a new slope of 45 to 50°. The skiers move through suspended seracs reflecting the blue of the sky. It’s a magical landscape but they have to remember to stay focused as the danger is real. The end of the gully is more accommodating and plunges down onto a huge north-facing glacier. Like good freeriders, Sam and Phil draw a series of pleasing, high-speed curves. And Vivian constantly searches out the craziest slopes. Once at the bottom, it’s high-fives of happiness for our three men. Then more than an hour on skins to get back to Zermatt for some well-earned celebration. 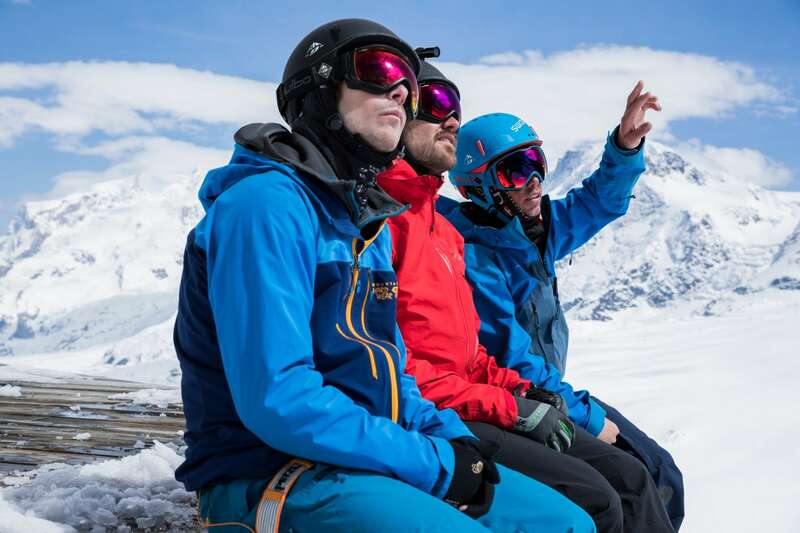 After Zermatt, the whole team head for another iconic town, the Luna Park of winter sports: Chamonix-Mont-Blanc. While all the other resorts are already closed, it’s the ideal place for extending a winter on skis. There are no groomed trails around the Aiguille du Midi. Just the cable-car that takes you to 3,842 m, opening up access to extreme slopes reserved for the best riders. A native of the region and member of the prestigious Chamonix Guides Company, Vivian knows every nook and cranny of the massif. Whatever the season and snow conditions, he always knows where to go. And if he can’t get round on snow, he takes a detour via the rocks, still wearing his skis! For Sam and Phil, Vivian is a precious asset and the best fellow traveller possible.
" 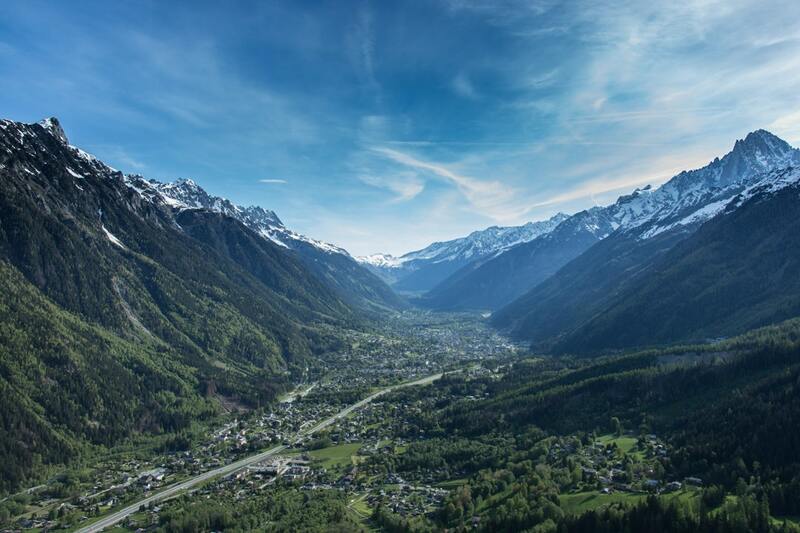 Chamonix is THE meeting place for big kids." 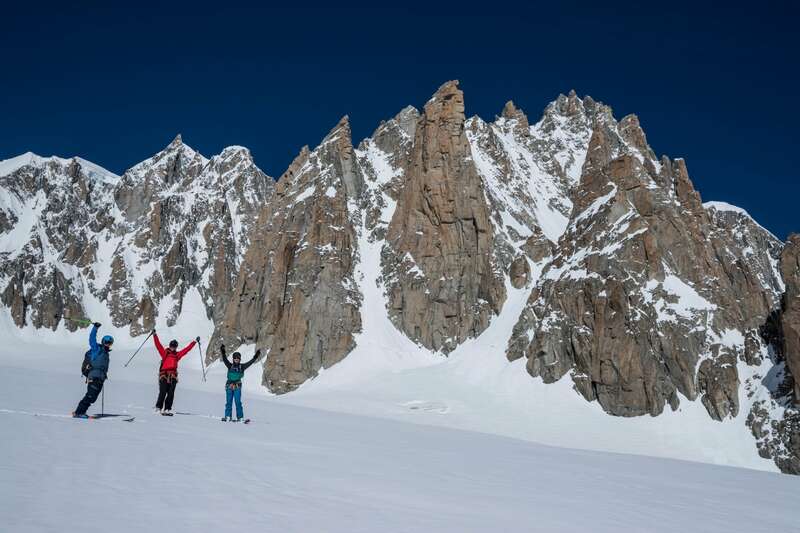 After listing fun options in the area depending on the weather and snow, Vivian decides to take his little team to two mythical slopes of the valley: the Passerelle and Aiguillettes gullies. The Passerelle Couloir takes its name from its starting point – the walkway linking the two peaks of the Aiguille du Midi. Two 50 m abseils impress the astounded tourists who gather around to watch the show. 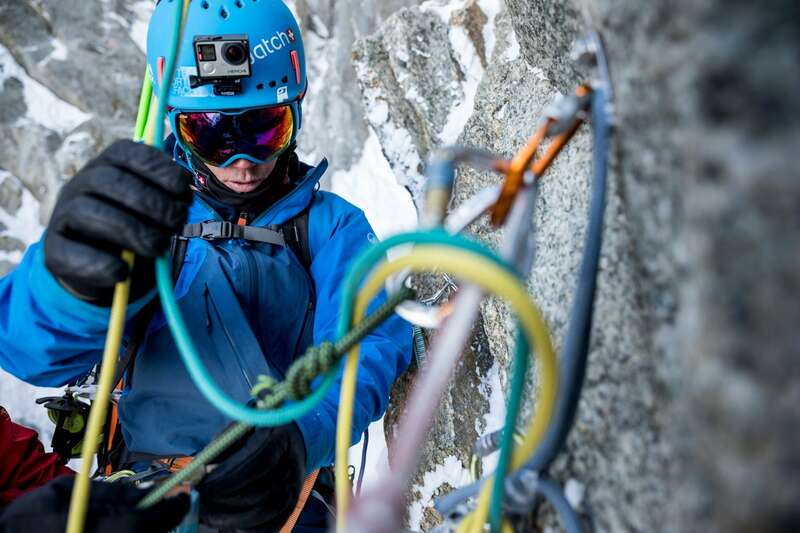 "Abseiling with skis isn’t something I do every day. It’s not fear but adrenaline I can feel rising. I’m hyper-focused." 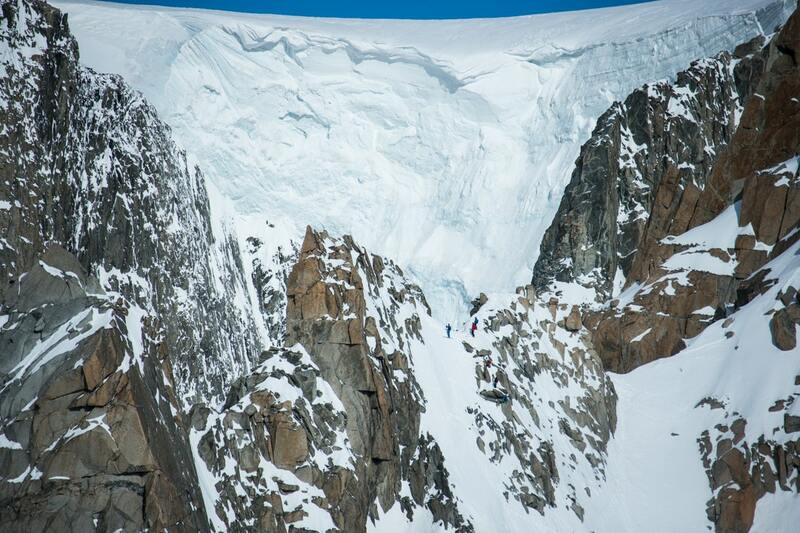 Once they’ve abseiled down, they have to navigate 100 meters of hard snow at an angle of up to 50°. Then a more open section to finish on the Glacier Rond and across to the Plan de l’Aiguille. Once at the Plan, our comrades decide to go back up to the Aiguille du Midi and spend the night in the Refuge des Cosmiques.
" The Passerelle Couloir was on my list. That’s just how I imagine Chamonix style to be!." On the terrace of the hut, Vivian and Sam get out their ropes and pass on their little technical mountaineering secrets to Phil. Then between the vegetable soup and Savoy sausages with polenta, Vivian prepares the next day’s tour to match the weather conditions. 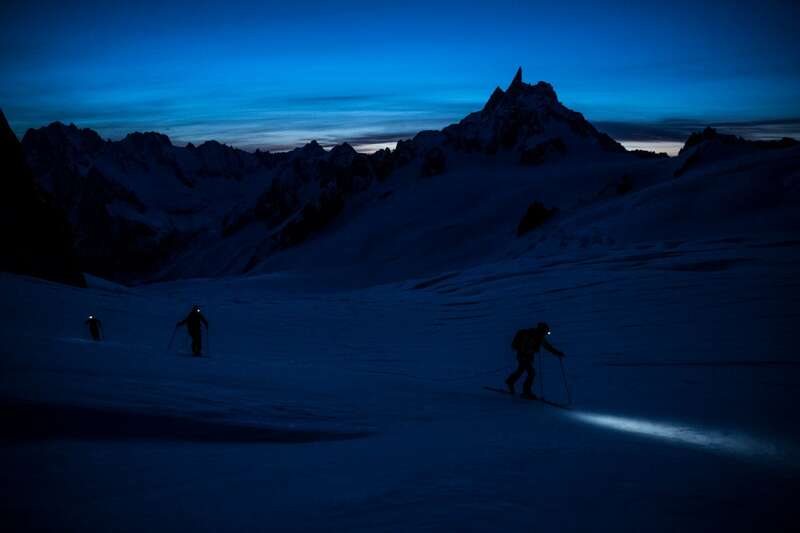 After a short night, the three Julbo riders set out under a full moon, traversing the Glacier du Géant to reach the foot of the Grand Capucin. Here, they decide to take on the Aiguillettes Couloir. With crampons on their feet and ice axes in their hands, they have the pleasure of watching the sunrise during their ascent. At 8.10 am, they reach the top, just above the Grand Capucin. From where they stand at 3,900 m, the view is rocky and magnificent. But there’s no time to lose: the descent along this great climbing route awaits. "The Grand Capucin is an iconic mountain for climbers. 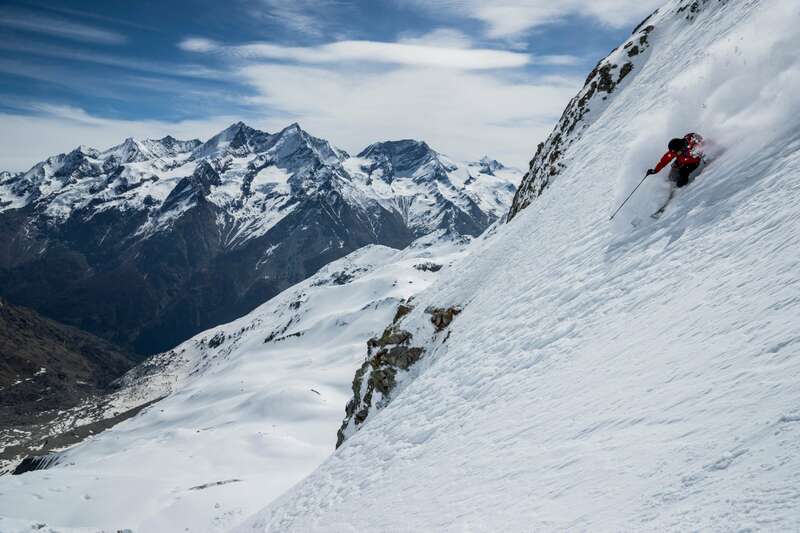 It’s incredible and rare to ski alongside major climbing routes." "I’m not trying to stick my neck out or push beyond the limit; it’s more about looking for new possibilities." To get right to the nitty-gritty, they set out via a large slope above the seracs, where the slightest error can be fatal. Then it’s a long gully of about 300 m facing due south. Once at the bottom, they look back at the fresh lines made in the snow and high-five to celebrate their achievement.It’s now time to head down the legendary Vallée Blanche hopping on the no less iconic Montenvers train. The fine adventure finishes around a barbecue, facing the mountains, with promises to meet again soon.
" I loved skiing in Chamonix with Vivian. It has a strong skiing culture, with extreme skiers, climbers and mountaineers. I like coming here and joining this world of passionate snow fans." Thanks to Vivian Bruchez and Sam Anthamatten for their talent and advice. Thanks to Philip Crivelli for his passion and commitment. Thanks to Dino, Jérémy, Luca and Thibault for their great pictures and technical assistance. Thanks to François-Xavier for doing such a great all-round job.